Yay! I have surpassed my goal of exclusively breastfeeding Shern for 1 year! Shern has been drinking mummy's milk for the first year of his life. And of course he has also been munching on porridge, breads, cakes, biscuits and practically everything we eat as long as they are not too sweet or salty. Due to my dwindling milk supply as mentioned in my previous post, the bottles of breastmilk in my freezer are now down to less than 50 bottles. This is because I express only 1-2 bottles during the day but Shern drinks 2-3 bottles during the day. My freezer supply is going to dry up real soon. Thankfully, he drinks from the bottle too. This gives me the freedom to go out and sometimes to leave Shern overnight to mum & ah-yee. Many people are shocked when they know that I am still breastfeeding Shern. 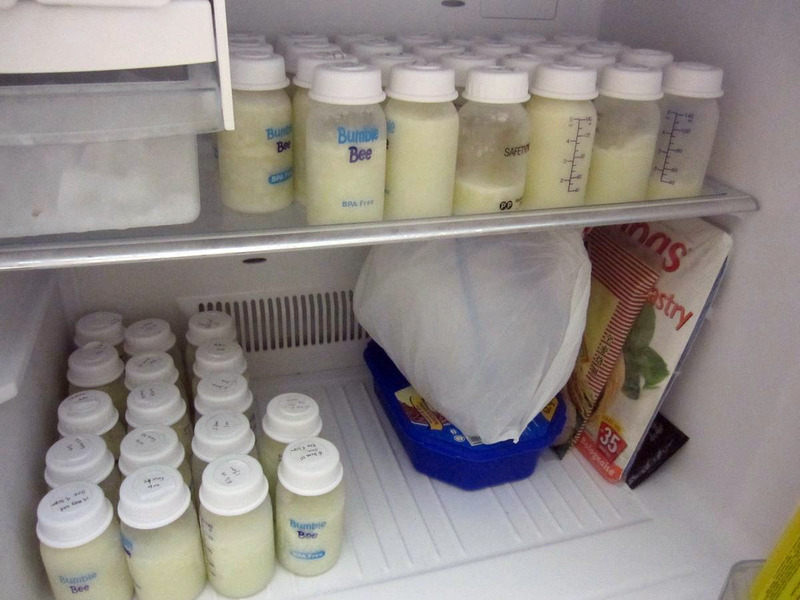 They are afraid that Shern does not have enough nutrition because breastmilk are diluted. Little do they know that breastmilk is the most nutritious milk for a baby! Some were horrified because Shern is a boy and they commented that it is not nice for boys to suckle on mummy's breast. Hey, Shern is still a baby. And babies usually have no distinctive memories of what they do until they are about 3 years old. Anyway, I find breastfeeding the most natural thing in the world. And I like the bonding I share with Shern. Usually Shern is a monster at home. But whenever Shern suckles, he calms down immediately and looks like the most angelic baby. You can never see him this kuai except for the few minutes when he suckles my breast! even got place to put ice cream now..
Hah? Boys shouldn't suckle? What sort of thinking is that? Weird people with distorted minds. Wendy...yes, usually the elders tell me that!